Problems with the checkout process are the biggest single source of revenue loss for most e-commerce businesses. In the US, 45% of online shoppers admitted having abandoned shopping carts "multiple times" within a specified three week period. More than ever, retailers need to optimize the customer experience. Customer expectations are rising and improvements in checkout design are failing to keep up. This webinar will help guide you through the processes needed to increase transactional conversion rates within your website. Real-life examples from top online retailers are used as case studies to examine what’s needed to find the balance between a customer’s expectations and a retailer's need to generate a sale. 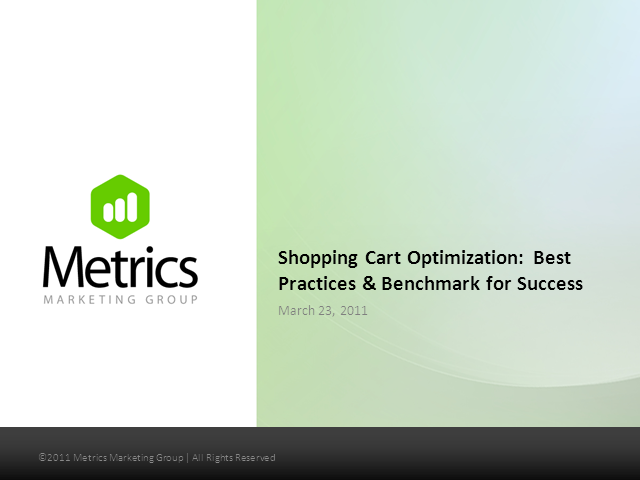 We will discuss shopping cart best practices and guidelines to help benchmark your checkout next steps.